China Says Detained Canadian Michael Kovrig Was Spying Illegally Chinese officials accuse Kovrig, a former Canadian diplomat, of "stealing and spying on sensitive Chinese information and intelligence." Michael Kovrig, seen here in a video from March 2018, was detained in China more than 80 days ago. Chinese officials say he's suspected of stealing state secrets; others say he is a pawn in a broader fight over Huawei executive Meng Wanzhou. 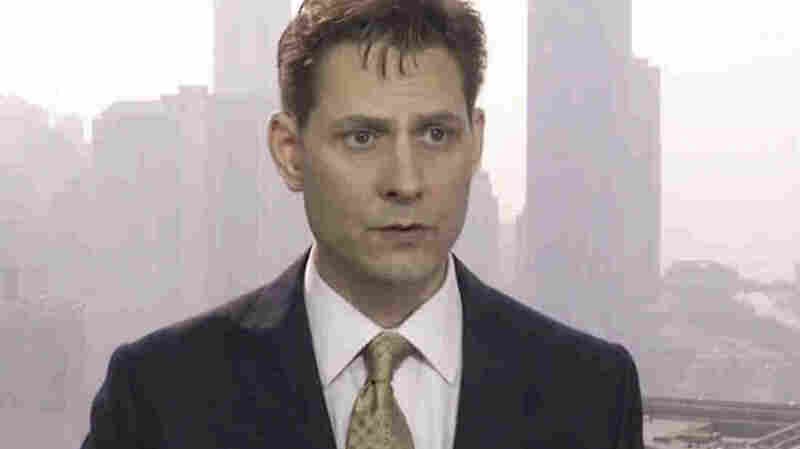 China says it suspects former Canadian diplomat Michael Kovrig of spying, with a powerful Communist Party panel airing new details about China's accusations against Kovrig. When he was arrested in December, officials said only that Kovrig was suspected of jeopardizing national security. The new details are being revealed days after China protested Canada's decision to go ahead with the process of extraditing Meng Wanzhou, chief financial officer of giant Chinese telecom Huawei. The U.S. has accused Meng, a Chinese citizen, of fraud related to U.S. sanctions on Iran. Meng is now suing the Canadian government, accusing the country of violating her constitutional rights when border officials detained and questioned her and sought access to her electronic devices. Chinese officials are now accusing Kovrig, the International Crisis Group's senior adviser for North East Asia, of "stealing and spying on sensitive Chinese information and intelligence via a contact in China," according to Canada's CBC, which cites a brief statement from China's Central Political and Legal Affairs Commission, part of the ruling Communist Party. Kovrig was detained days after Meng was arrested in Vancouver; soon afterwards, another Canadian, Michael Spavor — who has aided former NBA star Dennis Rodman's efforts to form ties in North Korea — was also detained. Both of those cases quickly triggered suspicions that they were retaliation for Meng's detention. The new accusations allege that Spavor was in contact with Kovrig and had shared intelligence with him. China has also said that because Kovrig traveled to China under a regular passport and business visa, he is not protected by diplomatic immunity. The Brussels-based International Crisis Group renewed its calls for Kovrig's release late Sunday, saying that he has now been held for 84 days. "Michael has yet to see a lawyer or anyone in his family, and is only allowed rare consular visits," ICG added. Calling Kovrig's arrest "perplexing," the organization says, "Nothing Michael does has harmed China. On the contrary, Crisis Group's work aims to defuse any tensions between China and nearby states, and to give a fresh, independent appraisal of China's growing role in the world."